Gibson Landscape has a unique opportunity to perform within a compressed schedule all while meeting the stringent requirements for quality. 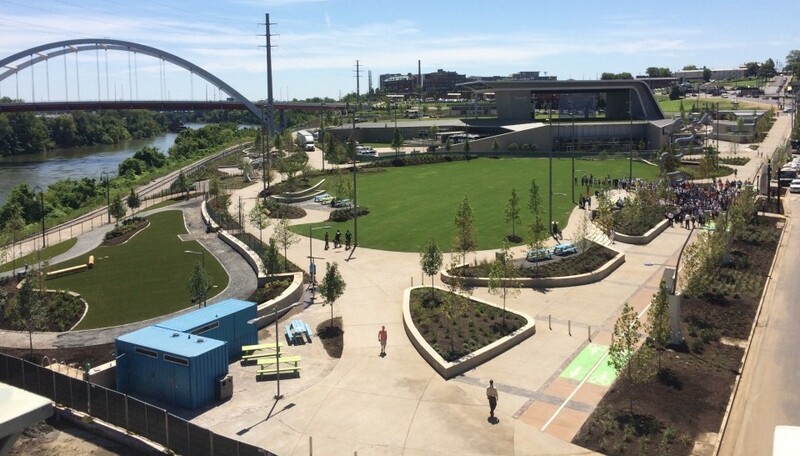 Nashville’s largest park project in the city’s history is a ambitious vision by the projects design team and city officials to bring a legacy greenspace to the community. Planning and design have been under development for years and now our team is able to execute the 11 acre hardscape & landscape scope within 90 days. See the news highlight below or click on view our work.